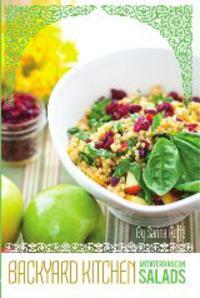 Sarina's Sephardic Cuisine - Kosher Family Recipes - Apples Only for Dessert? It suddenly occurred to me that virtually all my apple recipes are for dessert. Then I thought, Sarina you fool! Apples can be used in salads and other foods as well. Typically Sephardim use seasonal fruits and vegetables in their foods, whatever is locally grown. We don’t typically use apples because they are not a Middle East or Mediterranean fruit. Most of the recipes I have include fruits like apricots, figs and dates because these are fruits grown where our ancestors were from. As people migrate, they take their original recipes and adapt them to what is available locally. So while I am baking apple pies, apple crisp, apple cobbler, apple cake and apple turnovers, it is time to expand the horizons to other apple dishes, and use the apples in entrees. I found two recipes in my arsenal I want to share. One is an Apple Couscous and the other is Apple Cole Slaw. The couscous can be replaced with quinoa or orzo and it will be just as delicious. Please check out the apple recipes on the web site.